Shores Jardine LLP is proud to announce that Gwendolyn Stewart-Palmer has recently completed her update to the leading text on municipal planning law. 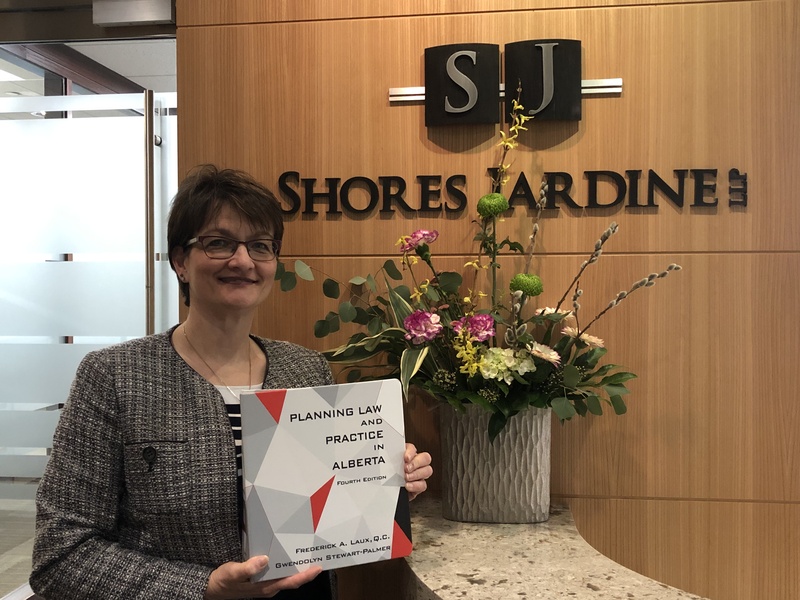 Gwendolyn has refreshed and greatly enhanced “Planning Law and Practice in Alberta”, the text originally authored by Fred Laux, Q.C. Gwendolyn has leveraged her vast practice experience in this area of law as well as her sharp analytical skills to provide a comprehensive text that provides both principled and practical guidance for those involved in planning law. Our heartfelt congratulations go out to Gwendolyn on this fine achievement!